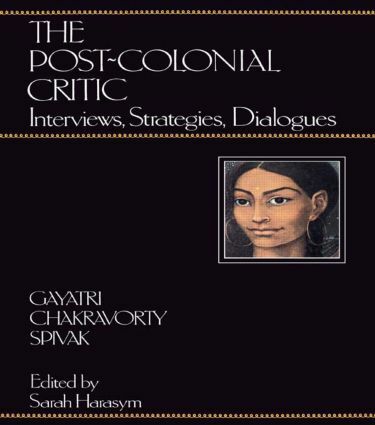 Gayatri Spivak, one of our best known cultural and literary theorists, addresses a vast range of political questions with both pen and voice in this unique book. The Post-Colonial Critic brings together a selection of interviews and discussions in which she has taken part over the past five years; together they articulate some of the most compelling politico-theoretical issues of the present. In these lively texts, students of Spivak's work will identify her unmistakeable voice as she speaks on questions of representation and self-representation, the politicization of deconstruction; the situations of post-colonial critics; pedagogical responsibility; and political strategies.